Lauderdale INFINITI in Fort Lauderdale, FL, serving Pembroke Pines, Hollywood, and Hialeah, is proud to offer a Military Appreciation Offer to men and women who serve our country with bravery and sacrifice. You go above and beyond for our safety, so let us exceed your expectations during your INFINITI car buying experience. We would like to show our appreciation with exclusive offers and low-interest rates to active and retired military personnel, as well veterans of our United States military groups (Army, Navy, Air Force, Marines, National Guard, Coast Guard, and Active Reserves). 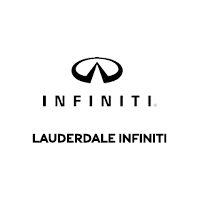 To take advantage of your unique Military Offer, contact Lauderdale INFINITI today to schedule a financial appointment. Please bring required identification and proof of active duty service, military retirement, or veteran status. We look forward to serving you at 900 East Sunrise Blvd., for all your automotive needs. Active military must provide proof of active duty service Leave and Allowance Statement (LES), a recent pay stub, business card, etc. Retired military must show a DD214/NGB22 or other official documentation. Military veterans are eligible if within 12 months of active duty and can provide proof of active service Leave and Allowance Statement (LES), a recent pay stub, business card, etc. At the time of purchase, you’ll need to show your Leave and Earning Statement and Military Identification Card (photo copy will not be made). Acceptable salary amounts and credit approval are also required.